To call the Lamborghini Aventador a legend in the making would be a gross understatement. This car became a legend the second it was completed. That is not much of a surprise since creating motoring legends is Lamborghini’s specialty. Their first legendary auto was the Miura, which is not just Lamborghini’s first supercar, but the first supercar, period. They followed it up with cars that held a special place in the heart and soul of petrolheads since they were children. Their outrageous styling and ferocious performance captured the imaginations of generations of auto enthusiasts, and now the Aventador continues that grand tradition. Rent the Lamborghini Aventador from Premiere Exotic Car Rentals to experience Lamborghini's newest legend first hand. The Aventador is the latest in the line of Lamborghini V12-engined supercars. The line started with the much-celebrated Miura, continued with the ultra-popular Countach, persevered with the devilish Diablo, and reached its apex with the Murcielago. Or so we thought. The V12-engined Lamborghinis that preceded the Murcielago were revered for their looks and their power, but they were famously impractical and required a skilled hand behind the wheel to push them to their limit. In other words, they were beautiful, but inaccessible even to the people who could afford them. Indeed, that was a big part of their appeal. The Lamborghini Murcielago changed all of that. It still had all of the visual excitement of Lamborghini’s past, but now it could be driven by anyone who was not a professional race car driver or test pilot, provided they were brave enough. The Murcielago introduced four wheel drive, which made it slightly easier to control the 580 HP lurking menacingly beneath its hood. After the last Murcielago—or Murci to its fans—rolled off the line in 2010, Lamborghini faced the daunting task of creating a follow up to an instant classic. And thus the Aventador was born. Once again utilizing a four-wheel drive system, as well as even more advanced handling technology, the Aventador was both more powerful and more approachable than the Murcielago. The sharp, angled styling was once again the stuff of automotive fantasies and it had a level of refinement previously lacking in all Lamborghinis before it. If Lamborghini was worried about the successor to the Murcielago, they didn’t show it because the Aventador is a vehicle borne of pure, bulletproof confidence. The Aventador produces 690 HP, can vault to 60 MPH from 0 in just 2.9 seconds and can easily clear 200 MPH. All that power may seem intimidating, but the advanced all-wheel drive system keeps the car firmly planted, so you never have to worry about getting launched into the stratosphere. The Aventador also has a stiff carbon fiber monocoque structure that is both light and strong, qualities that improve its handling even more. In fact, this is the first V12 Lamborghini where as much praise is lavished on its handling characteristics as on its straight line speed and outlandish styling. 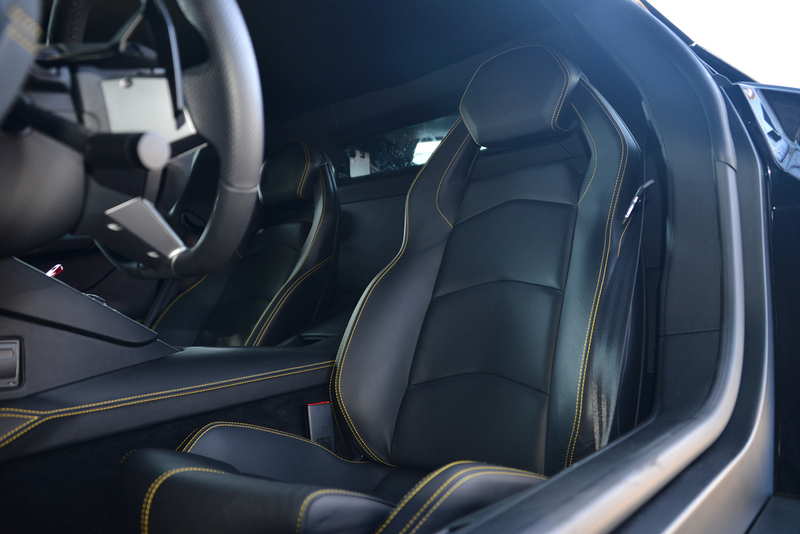 The interior of the Aventador is almost as outrageous as its exterior. Almost. The dashboard looks like the cockpit of a particularly advanced spaceship, but, much like the rest of the car itself, it is deceptively accessible. Once you slip into the comfortable sports seat, you will be greeted by a dashboard featuring an advanced, digital TFT-LCD, as well as an analog tachometer for some old school flair. The Aventador even has a full on multimedia system that you would expect to see in a luxury sedan. It has all the amenities you would expect in such a system, like Bluetooth integration, and a navigation system. However, the most useful part of this system is easily the backup camera; Lamborghini diehards might quibble that it is not a real Lamborghini unless you need to open the door and look backwards when you want to reverse. Everyone else will just be happy to have this modern convenience. The Lamborghini Aventador is one of the best supercars ever made, and it’s waiting for you at Premiere Exotic Car Rentals. Reserve it for a rental and you will get to experience what over fifty years of automotive advancement have created. The lineage of the Aventador means that it is standing on the shoulders of giants, so if you only ever drive one Lamborghini—or one supercar—in your life, make it this one.